Tom Stubbs is a community and bar leader who practices in state and federal courts across the metro-Atlanta area and all of Georgia. His office is conveniently located in downtown Decatur, close to MARTA and with free parking for those who drive. Families today are challenged at every front. Many of us live on the edge of exhaustion from the overwhelming demands of work, family and life. Days are too short, and paychecks are too small, to cover all that needs to be covered. Add to that load a financial or physical injury and you have a recipe for a disaster, impacting your ability to work, love and live. That is where I come in. I am no miracle worker. I make no promises of one-call-does-it-all. What I do, though, is lift the load from your shoulders and carry the fight for you. I will keep you apprised of developments in your case using, among other things, our case management system with its client portal. Through the portal, you will receive documents, scheduled events and other information about your case. During the initial consultation, I listen to you describe your issues and problems. I will also review any important documents, such as medical records, police reports, contracts or other such documents. I then identify outstanding questions that need to be addressed, and the options you have going forward, including the most important steps to take next. I am very selective about the cases I take. I will devote all of the resources of my office to handling each case, which necessarily means I can only handle a limited number of engagements. If we agree to take your case, I will prepare an agreement outlining the terms of my representation of you. Each case is different and the fees I charge will depend on the type of case. In most personal injury and wrongful death cases, you pay nothing. My fee is paid out of the recovery I secure for you. Most criminal cases are handled on a flat fee basis. Most other cases are handled on a combination of flat fee/hourly fee basis.  A. Thomas Stubbs Attorney At Law does not create an attorney-client relationship.